Bonomo rightly gets the headlines, but Jason Koon has earned more in 2018 than the 2017 leader did. Jason Koon discusses the benefit of having a group of poker-playing peers with whom to talk strategy. Justin Bonomo has rightly captured the poker world's attention over recent days. His victory in the $1,000,000 No-Limit Hold'em - The Big One for One Drop last week not only earned him a huge $10 million first prize and second World Series of Poker bracelet of the summer, but vaulted Bonomo to the top of the all-time money list ahead of Daniel Negreanu. Bonomo now has more than $42.9 mllion in lifetime tournament earnings, with more than half that total — almost $25 million (!) — earned since the start of 2018. 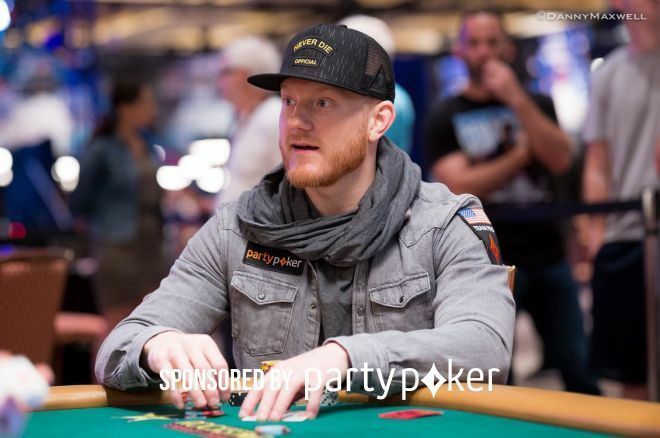 Meanwhile, partypoker sponsored pro Jason Koon has had a remarkable 2018 himself, having earned over $9.7 million in tournaments this year to sit in second position on the 2018 money list, an amount already exceeding what Bryn Kenney earned in 2017 on his way to topping last year's money list. Koon has earned over $11M over the last 12 months, highlighted in May with his win in the HK$1,000,000 No-Limit Hold'em - Short Deck Ante Only event during the Triton Poker Super High Roller Series in Montenegro, earning him a first prize work over $3.5M USD. Koon recently spoke with PokerNews' Sasha Salinger about some of the factors that have contributed to his recent success. Being in a strong relationship and enjoying a well-balanced life are keys, Koon notes. Another important factor Koon cites is having a group of poker-playing friends with whom to discuss strategy, something that's helpful no matter what stakes someone plays. "I've got a great team of guys around me... we work together and study really hard," says Koon, adding how having fellow players with whom to analyze hands and situations is essential to improving one's game. "It's everything," says Koon. "Having multiple views on specific problems and working that way to solve problems in poker is the most effective way to get to the right answer."